Virginia Grub of Art Contact was invited to present a talk on the ‘Importance of Art and Lighting for Interior Design’. Virginia Grub of Art Contact was invited to present a talk on the ‘Importance of Art and Lighting for Interior Design’. 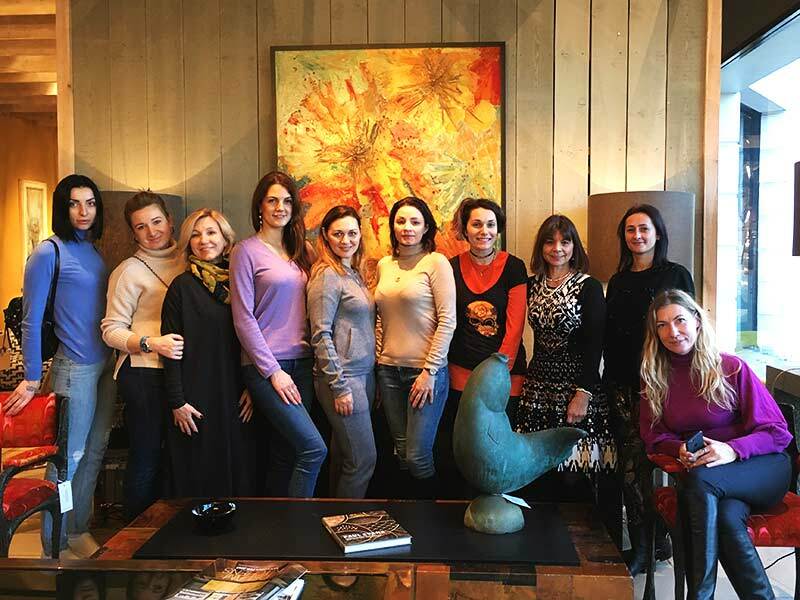 The talk was held at the KLC School of Design for a group of practising Interior Designers based in the Ukraine. The group were in London for a week residential course based at Chelsea Harbour. The talk was introduced by the head tutor for this course. The session took the form of a brief talk focusing on a number of topics including the importance of art in any interior design scheme and the role of the art consultant in finding the right art for the design. The discussion then went on to cover the breadth of items that may be included in the art brief from pictures, art installations and sculpture to chandeliers, furniture, wall papers and even door knobs. The talk then moved on to discuss the guidance offered by the independent art consultant and their role in both the supply of existing artworks and in the commissioning of new works to ensure that the artworks ‘work’ the space. A question and answer session followed and this lead to a very informative discussion. The group then moved onto Talisman, the furniture showroom in Chelsea Harbour to continue the discussion looking at examples in their range of products. Thank you Talisman for hosting this group and for the time you spent with us. Thank you to all those that attended and I hope that you gained a lot from this experience.